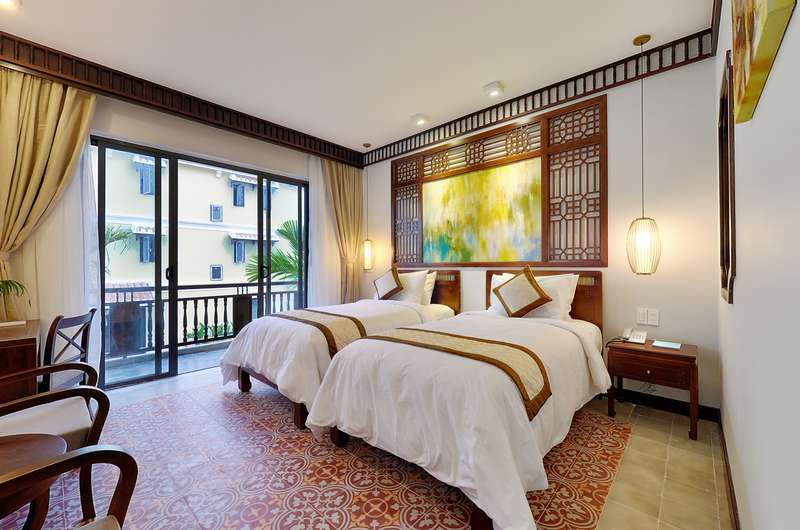 Hoian Field Villa and Spa offers 21 rooms and suites, with tranquil pool views or spectacular panorama green rice field views of Cam Thanh village in Hoi An. This simple architecture boutique resort and Spa is in harmony with the stunning scenery of the surrounding area, to be a host of modern comforts provides a luxurious home away from home, full of enchanting local inspirations. All our elegant rooms feature an impressive and spacious layout comprising balcony, Queen or Twin beds, in combination with a large swimming pool in the center of Hotel space, the Field Bar & Restaurant with breathtaking view towards the rice field, gym, sauna and Rice Leaf spa offering ideal spaces and benefits for relaxation. 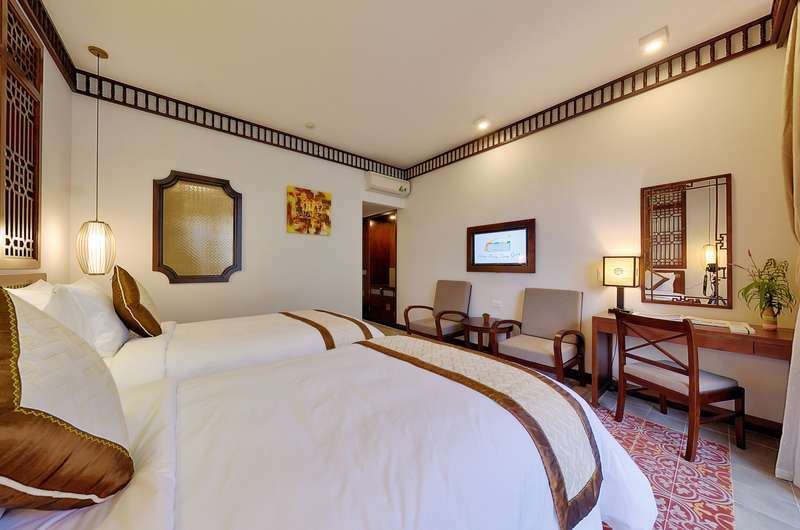 All are equipped with bathroom (bathtub & shower), Writing table, tea table, LCD TV, air-con, telephone, mini bar, safe, complementary bottled water, coffee/tea making facilities and free Wifi. The ideal peaceful location of the hotel in the middle of rural nature Cam Thanh village, only 10 minutes cycling to Hoi An ancient town center/to Hoi An beach and our heart oriented service are excellent extra benefits for you to discover real rural life of people in Hoi An. From Da Nang airport transfer: 30 kms away. Drive to Hoi An ancient town on the Coastline Da Nang- Hoi An. Then turn to Hoi An direction from An Bang beach, then turn to Ly Thai To street from Hai Ba Trung street, then Nguyen Duy Hieu street, Then Tran Nhan Tong street. 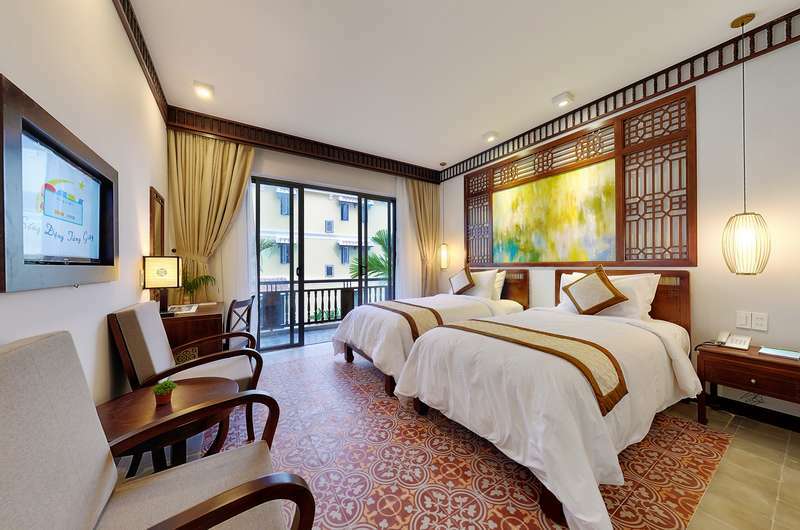 Hoi An field Villa is on the middle to Cua Dai Bridge.